Nine will become an official Australian broadcast partner for the National Basketball League for the next three years in “a revenue sharing arrangement” with the sport. 9GO! will air two games per round with 9Now to screen a Live simulcast along with catch-up rights to all NBL games throughout the season following their conclusion -regardless of the network the game has aired on (ie. FOX Sports). 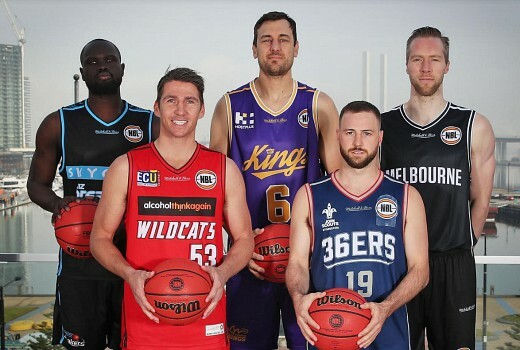 Under the deal, Nine and the NBL will share the advertising with Nine to take over sponsorship and advertising. Tom Malone, Nine’s Director of Sport said, “We are thrilled to have Basketball back on Nine and part of the Wide World of Sports family. Larry and the team at NBL have done a terrific job re-building basketball in Australia, and securing some big names for the coming season – it will be great to see Andrew Bogut make his debut for the Sydney Kings. “We are delighted that more fans than ever before will be able to watch live basketball on Nine’s free to air channels and enjoy what is a golden period for the game in Australia including two huge games between the Boomers and Team USA next year. The NBL 2018/19 season commences on Thursday October 11th. SBS previously had a Live weekly NBL match, in a deal with FOX Sports. So we go from 2 live games a week (Sat 5.30 Viceland and Sun 3pm SBS) and a delayed game (Fri ABC) all in HD to 2 live games a week in SD and the NBL think it is a great deal? I get that 9 attracts more eyeballs than SBS but I’m not certain how it’s a better deal.